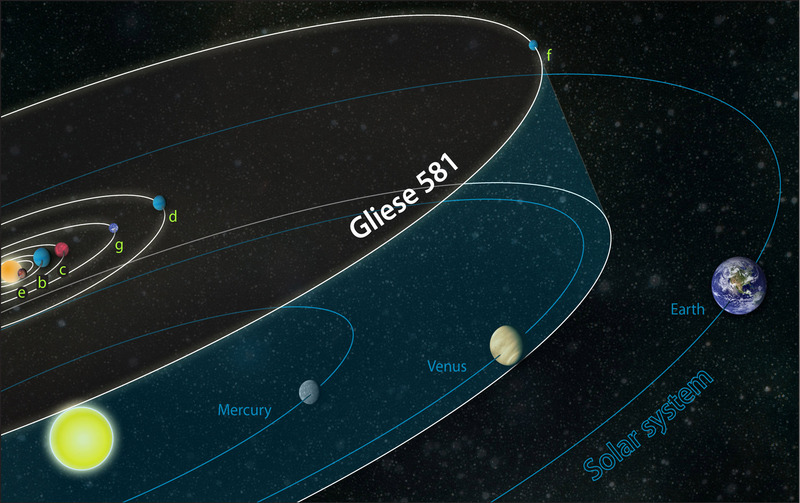 By now, everyone’s heard the news – there’s seven new planets to consider in the universe. We’ve all read the headlines. Seven lovely orbs holding potential for life, only a mere 40 light years away! Why, that’s practically next door! And some of them hold the potential for life? Incredible. While it’s nice to consider that we have an escape plan to another world, it’s kind of unreasonable to expect to get to any one of these places anytime soon. Sure, we’re all expecting to hop on a space ship in the next couple of dozen years and arrive at planet du jour within a Einstein’s calculated period. And Lord knows that the folks behind Prometheus practically guarantee travel to new Edens (although not without some pesky grey, hissing creatures with a penchant for sucking people’s innards and faces). Are there wormholes to get us to these places quicker? Could be. Interstellar makes an excellent argument for that. 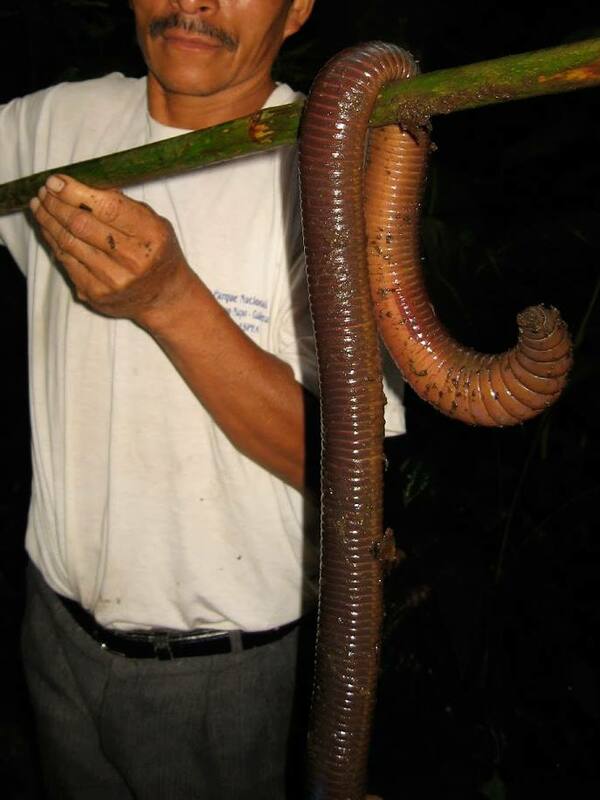 If those wormholes do exist, the common folk won’t hear about them, at least not yet. Existing in theory and written about aplenty, I’ve no doubt these gateways to universal superhighways are around somewhere. How then, is it possible to construct a vehicle to travel within the confines of a wormhole? Sure, we can throw a ship together – that’s the easy part. I’m wondering how a ship might be able to withstand whatever that wormhole throws at it – pressure gradients, temperature, forces binding the wormhole together. 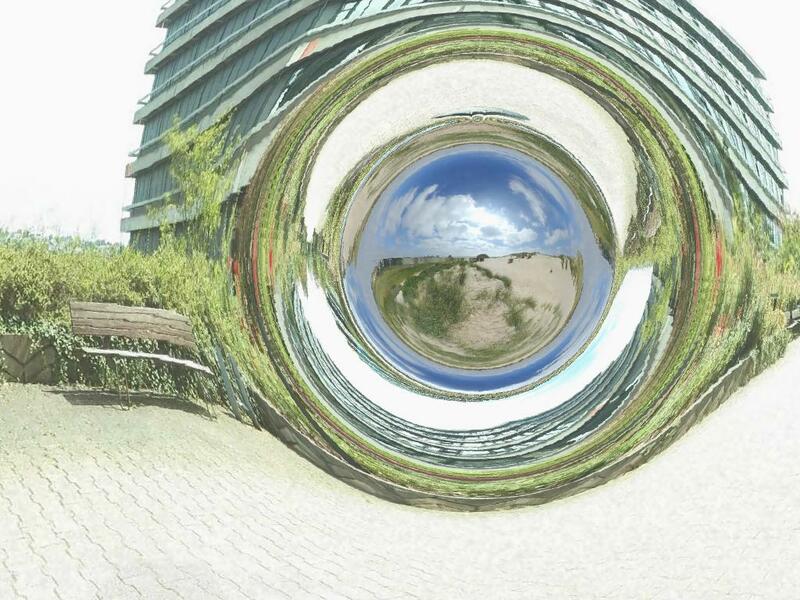 Or suppose the wormhole is a perpetual vortex that leads to nothingness? Once trapped inside, the travelers can’t break free and are subjected to extremes not even imagined? Could there be different categories of wormholes? There must be. Just as there’s different types of highways, roads and streets, wormholes have characteristics. Some may be dead ends, short jaunts or long, winding roads. There could be ones that have celestial potholes, breaks, connect at junctions or turn back on themselves. 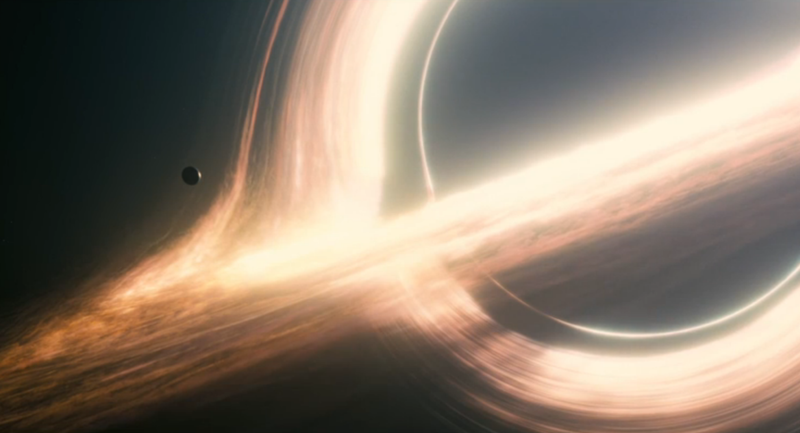 Suppose we do discover a wormhole in the neighborhood of Jupiter, as mentioned in Interstellar. Do we send our best and brightest through it just to see what happens? Do we travel to the unknown hoping to reap the benefits of what other places and methods of navigation can teach us? How do we steer our crafts, once caught in a wormhole if we don’t fully understand what they are in the first place? What is speculation and reality? Or will time trick us to believe there is a light at the end of the wormhole, only to find out we’re no longer able to function because of the forces of the universe bearing down on us? If we’re not able to return to Earth, what good is the journey to begin with? Eventually, some intrepid group of astronauts will go forth to see what’s out there. We may never hear from them again. But they might find another system such as Trappist-1, and create a world that no citizen of Earth may ever be so fortunate to imagine. What’s your preferred method of space travel? Is it this? I know, I know. Pretty hard to decide which one to choose. …and the space it occupies. Okay, okay, maybe I’ve gotten a bit esoteric for you. I’ll get simple. The first mathematical equation is otherwise known as traversable wormhole, or one that allows you to move from one end of the universe to the other. The second one represents a Schwartschild wormhole that, for the most part, is a black hole that allows travel usually in one direction, but also connects one universe to the other. The definition of a wormhole is a method within the theory of relatively of moving from one point in space to another without crossing the space in between. To properly explain a wormhole properly means one has to drag out the big guns (i.e. Einstein) and spew forth a lot of verbiage that’s guaranteed to gloss over the heartiest of eyeballs. A short history of the term is this: Albert Einstein and his colleague Nathan Rosen came up with the basic principles of wormholes and their relation to time and space in the 1935 and called their concept the “Einstein-Rosen” bridge. John A. Wheeler, an American theoretical physicist coined the term wormhole in 1957. Science fiction writers have jumped on the concept ever since. Carl Sagan, Arthur C. Clarke, Iain M. Banks, John G. Cramer, Stephen Baxter and many, many others have all used wormhole technology to develop their plots, as well as popular shows as the Stargate franchise. With wormholes, one easily solves the problem of traveling great distances in short times, as long as you don’t exceed the speed of light (a wormhole no-no). Just about anything can travel through them as well. The mightiest of space vehicles right down to tiny gnats can zoom through distant reaches to discover, conquer or just make new friends. It’s a simple device that captures everyone’s imagination because it’s so freeing and limitless. Need to get someplace? Hook up to a wormhole, and in seconds, you’re there. In Stargate SG-1, the cast would travel so quickly through these things that bullets came flying right out of the gate, thanks to the wormhole. Conversely, robotic probes made their way out into the new planet, seeking information regarding conditions. True, a proper stargate was needed to connect two points together. It wasn’t without its risks, either. Wormholes invite all sorts of malfeasance, if one isn’t careful. Evil characters often took advantage of this plot device and wreaked havoc, threatening Earth and its inhabitants over and over again. Next time you look up at the sky and gaze at the stars, think about this: somewhere out there lurks a bridge to another time. One day, maybe soon, some thing might be transversing it to visit. All right. I’ll confess. I was a diehard Stargate SG-1 fan. Not so much Stargate Atlantis, although I adored Rodney McKay. There was nothing false about him; he met at the intersection of reckless bravery and shameless coward. And Stargate Universe? Highly underrated. It wasn’t as lighthearted as the other two, but it made you think. I’m also a fan of Robert Carlyle. I digress. Back to SG-1. All the cast members on that show shared a real chemistry, and it could be serious and funny at the same time. The gate spun as if a Wheel of Fortune, upon which the SG-1 team gambled their fates each time with each threshold crossing. Stepping into that endless whirling stream of psychedelic colors gave Jack, Sam, Teal’c, Dan and and whoever else they dragged along, the appearance of a magic tunnel ride, forever in length. Yet, when they came out on the other side, it was as if they were out for a Sunday stroll, only two seconds later, if that. Okay, they were armed to the teeth and occasionally they’d have to dodge flying missiles, unknown assailants, and, of course, those pesky Goa’uld. Now it’s time to go home. Either Jack’s gang saved the day or got the hell out. They’d go flying back, hurling their bodies through the stargate once more, fighting against all odds to dial the correct address to open that slurpy rush of wormhole matter. Correct me if I’m wrong, but it wasn’t entirely unheard of to have alien weaponry zing through that very wormhole. And again, traveling that eternal length of wormhole only took, what, two seconds on the return trip. Hmm. So tell me: how’s that possible? Do wormholes stretch and contract? Now, I haven’t yet had the opportunity to leap through one of those and find out for myself, although it is on my bucket list. 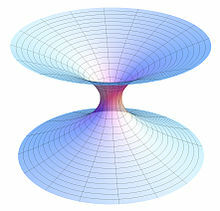 I am of the opinion that wormholes are a function of time meeting distance. Sort of like pulling the middle of a length of chain, and the ends become closer. Time is the chain, in this instance. Yes, I know, the chain is the same length, but suppose there was a way to skip across from one end to its opposite? The stargate connected to other stargates in the universe, offering limitless opportunities for adventure. And convenience. Take, for example, who taught all those off-world races to speak English so beautifully? Was one of the Ancients, say, a past life of Noah Webster? Their history, beautifully preserved in the pyramids of Egypt, could have traveled through those wormholes and planted the seeds of English to the ancient Saxons. Ancients pierced the mind of Earthly citizens everywhere, giving rise to English’s seeming dominance throughout the globe. Bilingualism is an Ancient trait. When I’m stuck at my desk, going adrift staring at the pile resting on it, I long to take a journey through a stargate. Perhaps one day on lunch break, during a mind-clearing stroll through the park, fluttering leaves in the woods might attract my attention. A bend of branches in a peculiar manner carves a path to a smoldering circle, holding open its gate to unknown possibilities, as vast as space. I wouldn’t say no. I’d go.